Matt Edwards believes heaping pressure on Loughborough Students will not benefit anybody as the captain hopes to guide his side to victory in a crunch match against Esher in National One this weekend. Edwards says it is about the players enjoying themselves and representing Loughborough with pride, despite the Students currently sitting in the relegation places and seven points from safety. Loughborough will be gunning to keep their survival hopes alive when they host fellow strugglers Esher on Saturday before fixtures with Plymouth Albion and league leaders Ampthill and District. “A lot of people can big it up and say it is a big game with Esher, but in terms of us and our perspective on it, it’s a massive opportunity to go out there with your mates and have good fun playing rugby for Loughborough,” Edwards said. “If we can go out there and put pride into the jersey, enjoy each other’s company and play the brand of rugby we like to, hopefully the result will come our way, but one thing I can guarantee is that the 20 lads who take to the field on Saturday will put everything into it. Loughborough’s hopes of staying in National One for an eighth consecutive season have been boosted over the last few weeks. The Students secured wins over Sale FC and Chinnor and Edwards feels their upturn in performances have been down to adapting and sticking to their principles. “I think it has been down to an accumulation of things why things have started to come together,” he added. “They came together against Chinnor. They took an early lead, but I think the way we came back shows the maturity of our side now. Maybe at the beginning of the season, we would’ve hit the panic button after going three tries down, but there was no panic at all on Saturday. 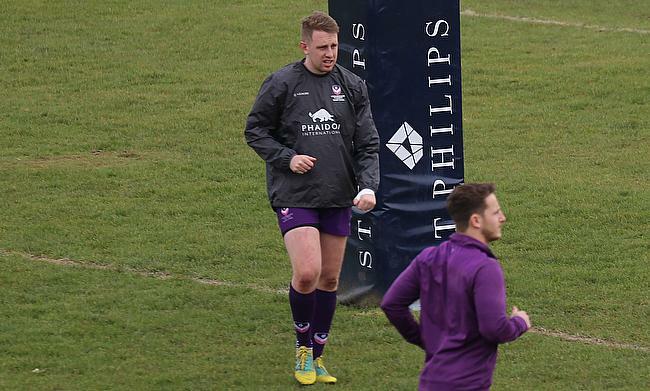 One of the unique aspects of Loughborough is that they are a side made up of players who compete in both National One and the top university rugby league; BUCS Super Rugby. Some may see that balance as a tough one to juggle, but Edwards can only view it in a positive light. “I think it is just the nature of the best,” he told ncarugby.com “Being a university side, we do have quite a high turnover, but at the same time, there is something sort of special about it. “We’re probably together for one or two seasons and it is about maximising the most of it. We are probably a little bit different in the sense that we live together, go to lecturers together and we spend an awful lot of time together. “The turnover can be seen as a disadvantage, but at the same time, we probably spend more time together than most other teams which can be seen as a huge advantage at the same time. The only negative for Loughborough following last weekend’s win over Chinnor was the fact their rivals also picked up significant victories. Esher and Cambridge both secured wins against Sale FC and Darlington Mowden Park, respectively, but Edwards says with three games to go, Loughborough cannot afford to focus on the teams around them. He added: “It is all about thinking about your own job. In previous years, there has always been shock results but because of how competitive National One is this year, anyone can beat anyone on their day. There aren’t any surprise results. “Esher and Cambridge both got wins and they are both really strong sides so we have got to control what we can control. We have got three matches left and it is all about focusing on ourselves and trying to make us as good of a team as we can be. “Of course, to stay up is the aim. I think it would be great because there has been so many success stories within the club. Like we have said, we’ve had BUCS lads moving up into National One in their first year here which I think is a massive achievement and there are also lads who will be taking their next steps in the game after this season.